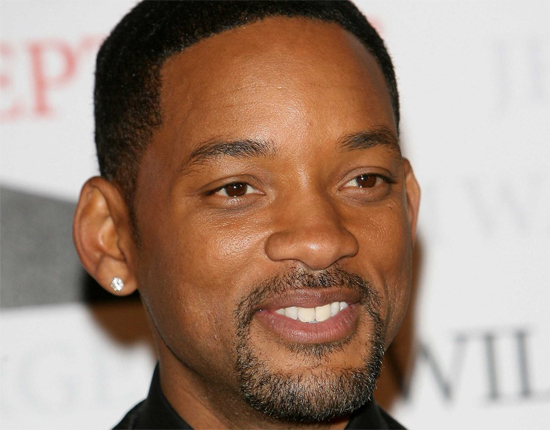 If you remember Will Smith as the gangly teenage rapper from The Fresh Prince of Bel Air, his muscular, action-man appearance in recent films like I, Robot, Hancock, and I Am Legend probably came as a shock. In order to build the muscle mass necessary to transform himself from lean to powerful, Smith had to stick to a strict diet and a very focused exercise routine. It took him a year of training and gaining mass to get the body he needed for those movies, and other roles like Ali. Four sets of bench presses, five sets of dumbbell presses, three sets of machine flies, five sets of push ups, and 25 minutes on a cross trainer would make up the chest exercises. Triceps are then covered by three sets of skull crushers, three sets of pull downs, three sets of kick backs, and three sets of bench dips. Bicep exercises include sets of hammer curls, dumbbell curls, and concentration curls. Each of his sets include about ten repetitions of each exercises. In order to keep up with such a strenuous workout plan, Smith follows a high protein, high carbohydrate diet. Running 20 miles a week requires a ton of energy, which he gets through shakes and supplements. In order to put on the 30 pounds or so of muscle he needed for his leading-man look, he eats his meals in smaller, more frequent routines. While many celebrity diets focus on less carbs, Smith simply chooses to eat healthy sources of carbs for the long-burning energy he needs, and does away with processed foods entirely. Runners require higher carbohydrate intake to combat the toll that so much cardio can have on overall muscle mass. His diet focuses on lean sources of protein like chicken, turkey, and unprocessed foods that helped increase his protein intake. In order to keep cravings down, he sometimes indulges in a small portion of something sweet after a run, but for the most part, Smith didn’t do “cheat” meals or days. Total focus and dedication was his path to success, and its through that attitude that Smith was able to transform his body so dramatically. His plan succeeded not because he had any great tricks or special routines – in fact, his workout routine is quite classic and not an easy one to stick to – but because he stayed focused on his goal throughout the entire year it took him to see these dramatic results.